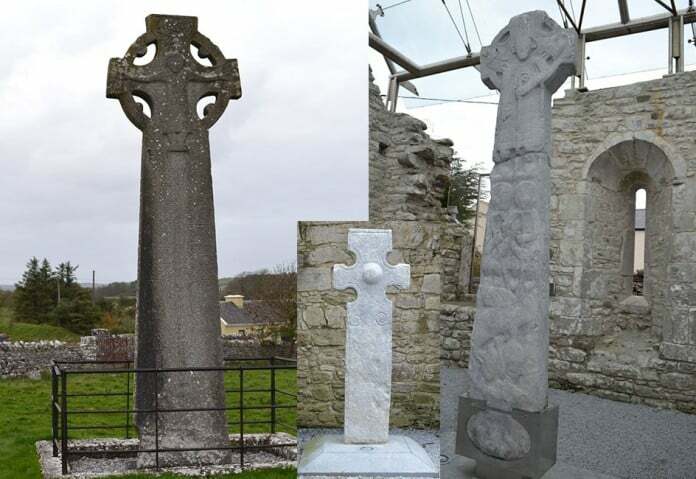 Three of the Kilfenora High Crosses. The Celtic High Cross is an almost hauntingly beautiful symbol of early Christianity and the wider Celtic cultural identity. Most commonly found in Ireland, there are examples of the cross within the Celtic parts of Great Britain and much farther afield. As instantly recognisable as it is, with the intersection of the cross being surrounded by a circle, its history is significantly more contoured and its symbolism much more nuanced than is generally realised. Even the name “Celtic Cross” is a slightly misleading portmanteau expression which may refer to the older Celtic High Cross or the more recent Memorial Cross. Historians, theologians and archaeologists have so far been unable to determine exactly when or why Celts began building these monuments in the shape of the cross. Despite generally being thought of as synonymous with Christianity, the earliest examples of the Celtic Cross in Ireland are believed to have been of pagan provenance. These predecessors to the Celtic High Cross are thought to have been of wooden and metal construction and somewhat smaller in size than their later High Cross counterparts. The symbolism of the early or pagan cross is somewhat opaque. Many scholars believe the cross and circle represented the tree and sun respectively, since the latter was an immensely powerful symbol to the ancient Celts. Still others believe that the four sections of the cross surrounded by the circle represented the seasons or the elements. This debate, of course, is complicated by the prevalence in many cultures of similar symbols which may have influenced or been influenced by Celtic practice. The assumption of Christian significance by the cross is attributed in legend to Saint Patrick. He is said to have combined the Christian cross with the circle, or sun, from the pagan cross to demonstrate God’s supremacy as creator. The cross, it is also suggested, may have represented the crucifixion and the circle the resurrection of Christ and the promise of eternal life. Pragmatists note that, symbolism aside, the limbs of the cross gain physical support from the circle, helping to protect them from time and the elements. Certainly, the early Christian missionaries to Ireland were responsible for erecting many of the earliest High Crosses, and it is widely believed that they did try to combine ancient symbolism with the Christian cross in order to avoid alienating the unconverted Celts. This theory is borne out by investigating some of the earliest extant High Crosses in Ireland. 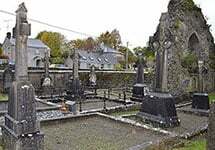 Consider, for example, the village of Ahenny in Tipperary, which is host to two of the earliest known High Crosses. The village is on the site of the early Christian Kilclispeen Monastery, and the crosses are markedly similar, with their knotwork engraving, to their earlier wooden counterparts. This demonstrates not only the early monastic roots of the cross but perhaps also an attempt to accommodate older religious traditions within a Christian icon. 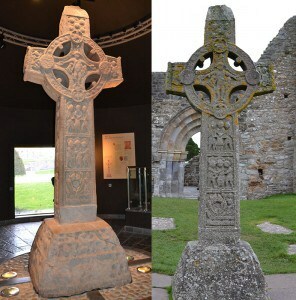 Celtic High Cross of Scriptures at Clonmacnoise – on the left is the original, on the right is the replica in its original location. The High Cross reached what was probably the peak of its popularity during the 8th, 9th and 10th centuries, and its exact function is imperfectly understood. It is thought individual crosses may have marked sites of Christian conversion or religious meeting places as well as celebrating religious notables (see, for example, the Cross of St Tola). Weather and time have often eroded inscriptions, complicating interpretation even further. Nonetheless, there remain examples of crosses with extremely elaborate carvings and engravings depicting Bible stories and events of scriptural importance. One of the most important examples of this can be found at Clonmacnoise in Ireland. The Cross of Scriptures is decorated with images such as the Last Supper and the Crucifixion, and a prayer is requested for Flann Sinna, King of Ireland, and Abbot Colman. Academics have pointed out the similarity between this and the Roman sculptures, Greek marbles and Pictish carvings. While some beautiful and fascinating High Crosses can still be found throughout Ireland and they invariably reward a visitor’s time and attention, the Memorial Cross is nowadays a much more common sight in cemeteries throughout Ireland, Britain, the United States, Australia and New Zealand. It emerged during the Celtic Revival of the 19th century, when there was a dramatic renaissance of interest in Celtic and Irish art, history and literature. Memorial Crosses are frequently embellished with images and symbols such as the Celtic Knot or Shamrock and incorporate Insular Art in the form of interweaving and knotwork. In many ways, they embody more fully than the Celtic High Cross the three phases of the Celtic Cross’s journey from pagan to Christian to secular cultural emblem. The Celtic Cross continues to evolve in historical and cultural significance. It can now be found engraved on jewellery, embossed on stationery and printed on clothing. The origins and significance of the early cross and Celtic High Cross are tantalisingly complex, but the newer iterations, as seen, for example, on the Memorial Cross or on the notepaper of an Irish club, speak rather more simply to pride in Celtic art, heritage and history.